The cutting or trimming for paper/indoor photo/graphic/kt board or other kinds of soft & thin materials. 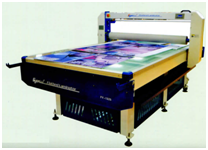 FE HC 160 is an easy-to-use machines for Hot & Cold laminating and for mounting digital prints on panels. 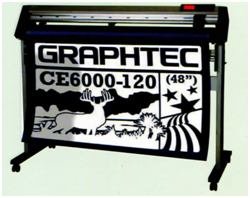 The CE6000 series sets the standard for high performance, low cost cutting plotters. It is equipped with professional-level features such as registration mark sensing and perforation cutting for producing a diving line in labels or packaging mock-ups. ZB-6710 automatic bending machine word crawler feed, V-gouging, built-in closed loop control system, to achieve a closed-loop monitoring graphical contour length to ensure feed accuracy of ± 0.1mm, telescopic alternating bending mode, the forming of the processed products of up to 90%, high performance multi-axis motion control card and self-developed software control system, with stable performance, notching depth constant, processing speed, etc., is a professional only plan Aluminum boundless word industrialized production bend word identification equipment. Through the world’s first multi Arbor bending systems and quick-change system mold materials for precision bending, truly sets of aluminum, stainless steel sheet, stainless steel strip, galvanized sheet and other materials efficiently and accurately folded in one of the all-around Super bending machine word. High-end LED word crochet aluminum, stainless steel word, punching word, words such as the word shell resin production device of choice. TPS-S8700 precision automatic bending machine-based word precise mechanical structure and unique retractable alternating bending mode, the use of pre-feed straightening, feeding and alternating clamp synchronous twin screw thumb screw driver slotted mode, Thai- based spectrum holy word and equipment development for many years experience in the research and development of curved TPS-AutoBend control system to ensure precision molding processing products, especially for small arc, small angle of fonts and complex graphics production, hign-end LED word of stainless steel, red hole word, the word around the edge of the resin of choice for high-end type of output device. FE CNC NM-48 builds a wide selection of systems from low cost packages for small shops to mall packages capable of machining small and large parts in a single setup. Flora LJ 320P this kind of color inkjet printer is suitable for paper, advertising banner, mesh fabrics, adhesive vinyl, and so on. The patterns printed by this solvent printer are water-proof, anti-ultraviolet, scratch-resistant, and of high definition. Flora PP 25 2512UV – since the images printed by this UV flatbed printer are water-proof, anti-ultraviolet, scratch-resistant and of high definition and bright color, this printer is widely applied to corrugated paper, foam core, PVC, ceramic tile, synthetic glass, wood, metal sheet, paper, advertising banner, mesh frabrics, adhesive vinyl, etc. 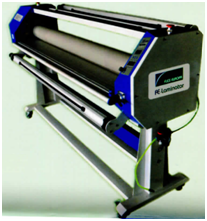 Handling: Flatbed, sheet feed and optional roll feed. 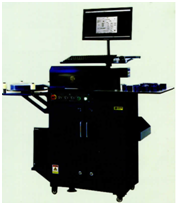 Vacuum platform supports various rigid materials, automatic media registration system with an optional unique blowing function. With the expanded color gamut and eye-catching true red, deep rich black and royal purple colors, Teleios is the world’s most installed digital textile printer in the soft-signage area.